New agreement strengthens the Group’s position as a leader in the global luxury hotel market. AccorHotels, world leading travel and lifestyle group, today announced the signing of a hotel management agreement (HMA) with New Mauritius Hotels Limited, one of the oldest and largest owning and management hospitality companies based in Mauritius. The new agreement will see AccorHotels relaunch the existing property under the Fairmont Hotels & Resorts brand in May 2017. The reflagging will mark a major step for the luxury brand in Africa. 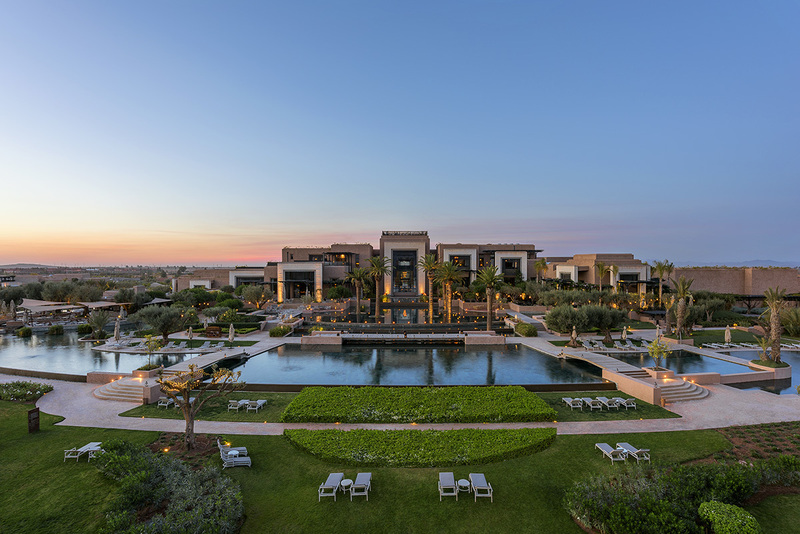 Located just 12 kilometers from the bustling city of Marrakech, Fairmont Royal Palm Marrakech is nestled within the heart of a century-old olive grove, spanning 231 hectares with uninterrupted views of the Atlas Mountains. The hotel also boasts unmatched resort amenities including an expansive 6,608 meter, 18-hole golf course created by renowned architect Cabell B. Robinson. Featuring 134 guestrooms including five Presidential Suites, one Penthouse Suite, and 10 Prince villas, the resort currently also offers 94 private residences consisting of two, three and four-bedroom villas. Subsequent phases of the development will include both Fairmont Royal Palm Residences and Fairmont Royal Palm Estates, joining Fairmont’s exclusive portfolio of branded private residences. Currently under development, the branded residences will be serviced by Fairmont, enabling residents to enjoy the full benefits of a resort lifestyle. Each Residence is elegantly designed, ranging from 200 square meters for a two-bedroom to over 500 square meters for a four-bedroom villa. Optional furniture packages will be available, featuring inspired designs that reflect local heritage and cultural influences, as well as high quality materials, fabrics and appliances. The resort currently features four restaurants and lounges including Le Caravane, an international restaurant on the terrace; L’Olivier, overlooking the swimming pool and serving Mediterranean cuisine; Al Ain, a traditional Moroccan restaurant; and Le Bar, offering an evening respite with its own cigar cellar. Due to open shortly, The Golf Course Country Club will add even more options for guests. Serving also as the club house for residence owners, The Country Club will comprise of a lounge, restaurants, and a health club and swimming pool. Leisure options include a 25 meter year-round heated, ozonized swimming pool as well as a 3,500 sqm spa including a bespoke private area. In addition to its own golf club, highlighted by an expanse of 75 hectares, Fairmont Royal Palm Marrakech is surrounded by three of the eleven golf courses in the city. It is also the nearest resort to the acclaimed Assoufid Golf Club, award winner of the World Golf Awards 2016 in Morocco. The vast estate, which lies at the foot of the Atlas mountain range and only a 10-minute drive from Menara Airport, is within close proximity to the mythical Red City offering travelers a culturally enriching and quaint experience with a range of local attractions. The addition of a landmark hotel in a strategic African market supports AccorHotels’ goal of brand growth and expansion, particularly in the luxury sector. With more than 70 hotels worldwide, Fairmont continues to expand globally with recent openings including Fairmont Quasar Istanbul, Fairmont Chengdu in Western China and Fairmont Fujairah the Middle East. New luxury hotels scheduled to open later in 2017 include the 317-room Fairmont Amman in Jordan, the 298-room Fairmont Riyadh in Saudi Arabia and the 1048-room Fairmont Austin in Texas. Beyond that, other hotels in development include Fairmont Kuala Lumpur, Fairmont Jeddah Hotel & Resort and Fairmont Costa Canuva in Mexico’s burgeoning Riviera Nayarit region, to name a few.